Carl Gustav Jung began his training in his chosen career, psychiatry, in 1900. For most of the next ten years, Jung lived and worked at the Burghölzli Psychiatric Hospital in Switzerland. There, under the mentorship of the hospital's director, Eugen Bleuler, Jung not only learned how psychiatry was practiced, but also worked to understand patients with psychotic illnesses and developed theories to explain the processes of the human mind in both health and illness. In Bleuler, Jung, and the Creation of the Schizophrenias, Michael Escamilla, a neuroscientist, psychiatrist and Jungian analyst, reviews the status of the then only recently developed profession of psychiatry and elucidates the intellectual work of both Bleuler and Jung during the first twelve years of the Twentieth Century. 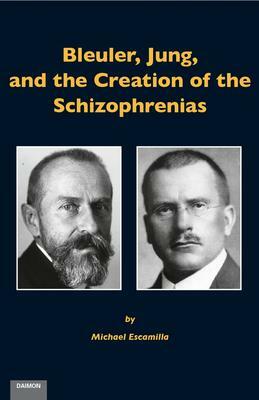 Confronted with the task of helping persons suffering from disabling psychotic experiences, Bleuler and Jung utilized scientific research and a new conceptualization of human psychology to provide a way of understanding their patients, and leading to the creation of an entirely new disease concept: \"the schizophrenias.\" This book also documents the interactions Bleuler and Jung had with other important medical doctors of the time, including Emil Kraepelin and Sigmund Freud. Later chapters reflect on how Jung's work with psychotic patients led to his own creative process in the Red Book and his later psychological ideas, and summarize his later writings (and those of subsequent analytical psychologists) on the topic of schizophrenia. A review of current scientific understanding of schizophrenia concludes the book.